For a number of years now I have been involved in the memorial business. This involvement meant immersion in memorial products, how they work and the stories of the people who came to buy them. What I didn’t realize was how little about what happens to our bodies after we die that I understood. 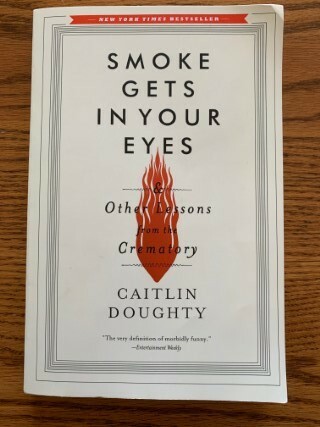 The book Smoke Gets In Your Eyes by Caitlin Doughty did more than make my eyes water, it opened my mind to how I want – and maybe as importantly, do not want – my body to be handled after I no longer need it. This entry was posted in Random Thoughts and tagged death, thoughts on April 19, 2019 by Nat. This entry was posted in Home IT, Television and tagged roku on March 15, 2019 by Nat. I wanted to like this thing…. Streaming Internet video is taking over the way many people consume their television and movies and there are more and more ways to accomplish this. The Google Chromecast seems to be a much loved tool for this and can be found for $30 or less nearly anywhere. I had gotten one expressly to be able to screen share from Android devices a while back and it had set in a drawer, lonely and unused. 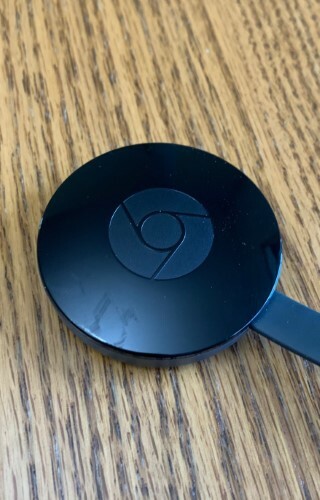 Then, just before cancelling the Chromecast Audio (which I continue to love) they announced that it was now possible to add a Chromecast (video) to a speaker group. Awesome! Except.. not. This entry was posted in Home IT, Television on February 16, 2019 by Nat. Each of the last three years I have competed in the Younglife Triathlon that takes place in August in Detroit Lakes. It is an amazing value at $60 with early registration for a fully featured and supported Olympic distance Tri. Each year they seem to tweak the formula just a bit to make it a better event, but for 2018 they made a couple of weird decisions that makes 2019 a make or break year for me. 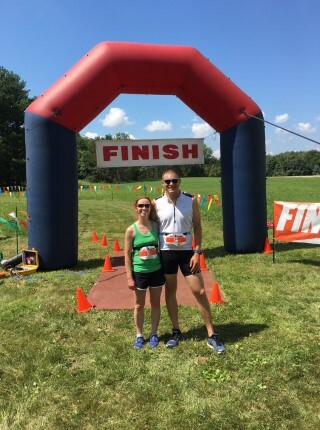 This entry was posted in Fitness and tagged triathlon, younglife on September 1, 2018 by Nat. You should definitely register here if you are down for a fun, hard morning where you get to paddle, run and then bike your way across a beautiful countryside! The results show that over 120 people participated, and I know that many have been coming back year after year to do it. The gals behind us on the bus were talking and I overheard that a couple of them had come back from Texas specifically to do this race as it was now a tradition for them and their girlfriends. Not having to fly in from Texas to race is a real advantage here, given that this is in Scandia anyone can drive from the Twin Cities metro and easily compete and enjoy the event. This entry was posted in Fitness and tagged triathlon on July 20, 2018 by Nat. June 22nd, 2015 I bought a bike, a Trek FX 7.3. This changed my life. This neon green chariot of awesome, which I was eventually riding about 100 miles a week, culminated in riding in the Saint Paul Classic where I road it 50 miles in one go. While on one of my rides in late August (which I thought of in my head at that time as bombing runs, an hour of fun exercise outside, zipping around curves and always pushing for more speed) I wondered what I should do next. I considered actual bike racing but quickly discarded that idea. Competing against single sport athletes was likely going to be a source of frustration, plus looking online didn’t turn up many local newbie friendly events. What else then? A triathlon. I had never swum any distance ever. I despised running at that point. What do you do when you are only passable at one sport? Do three at once. This entry was posted in Fitness on June 4, 2016 by Nat.